WASHINGTON — Attorney General Loretta E. Lynch, conceding that her airport meeting with former president Bill Clinton this week had cast a shadow over a federal investigation of Hillary Clinton’s personal e-mail account, said Friday that she would accept whatever recommendations that career prosecutors and the FBI director make about whether to bring charges in the case. The attorney general said she had decided several months ago to defer to the recommendations of her staff and of the director of the FBI because her status as a political appointee sitting in judgment on a politically charged case would raise questions of a conflict of interest. The meeting with Bill Clinton, she acknowledged, only deepened those questions, and she said she felt compelled to publicly explain her reasoning to try to put concerns to rest. Activists are preparing for a behind-the-scenes tussle over key appointments if Hillary Clinton wins the presidency. Lynch described the questions raised by her meeting as personally distressing for her because they stained the reputation of the Justice Department. “The fact that the meeting that I had is now casting a shadow over how people are going to view that work is something that I take seriously, and deeply and painfully,” she said. Republicans said the meeting, which took place at the Phoenix airport, had compromised the independence of the investigation as the FBI was winding it down. Some called for Lynch to recuse herself, but she did not take herself off the case — one that could influence a presidential election. Lynch said she wants to handle the Clinton investigation like any other case. Since the attorney general often follows the recommendations of career prosecutors, Lynch is keeping the regular process largely intact. The FBI is investigating whether Hillary Clinton, her aides, or anyone else broke the law by setting up a private e-mail server for her to use as secretary of state. Internal investigators have concluded that the server was used to send classified information, and Republicans have seized on the matter to question Clinton’s judgment. For the Justice Department, the central question is whether the conduct met the legal standard for the crime of mishandling classified information. Lynch said the meeting with Bill Clinton was unplanned, largely social, and did not touch on the e-mail investigation. She suggested that he walked uninvited from his plane to her government plane, both of which were parked on a tarmac at Phoenix Sky Harbor International Airport. 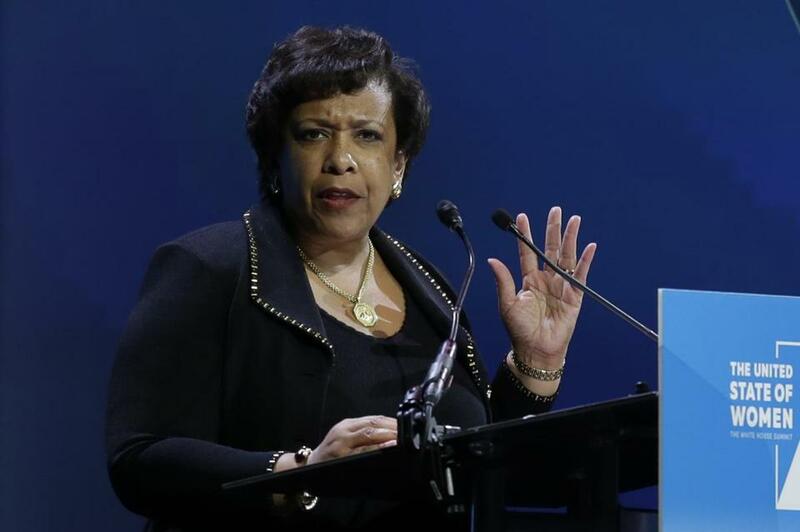 Clinton first appointed Lynch as a US attorney in 1999. Lynch’s account has not mollified Republican lawmakers, who said the meeting raised questions about the integrity of the government’s investigation. “In light of the apparent conflicts of interest, I have called repeatedly on Attorney General Lynch to appoint a special counsel to ensure the investigation is as far from politics as possible,” Senator John Cornyn, a Republican from Texas and a member of the Judiciary Committee, said in a statement on Thursday. The meeting created an awkward situation for Lynch, a veteran prosecutor who was nominated from outside Washington’s normal political circles. Her reassurance that she will not overrule her investigators is significant. When the FBI sought to bring felony charges against David Petraeus, the former CIA director, for mishandling classified information and lying about it, Holder stepped in and reduced the charge to a misdemeanor. That decision created a deep — and public — rift. The FBI is expected to make a recommendation to the Justice Department in the coming weeks, though agents have yet to interview Hillary Clinton. 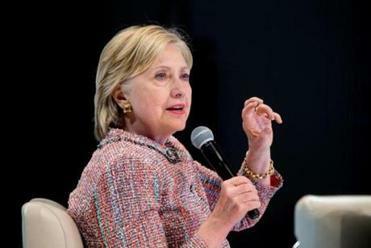 While some legal experts said they believed that criminal indictments in the case were unlikely, the investigation continues to cast a shadow over her presidential campaign. Donald Trump, the presumptive Republican presidential nominee, seized on the private encounter, describing it in a radio interview as a “sneak” meeting and saying it exposed the rigged nature of the process. Even some Democrats criticized the meeting. Beyond the day-to-day workings of the Justice Department, there is precedent for explicitly relying on career officials to make politically charged decisions. When the Justice Department was considering whether to recommend sanctions against former Bush administration lawyers who approved waterboarding, Holder relied on his most senior career prosecutor to make the decision. No sanctions were recommended.